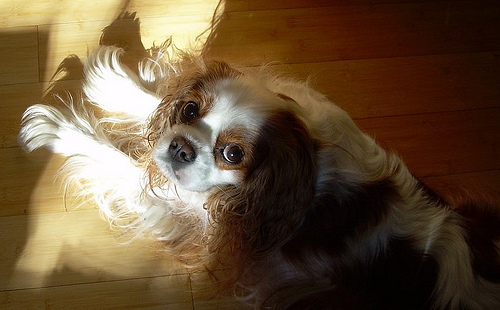 This week, Jasmine of Jasmine Cuisine selected Peanut Butter Crisscrosses on page 78 of Dorie’s book for Tuesdays with Dorie. 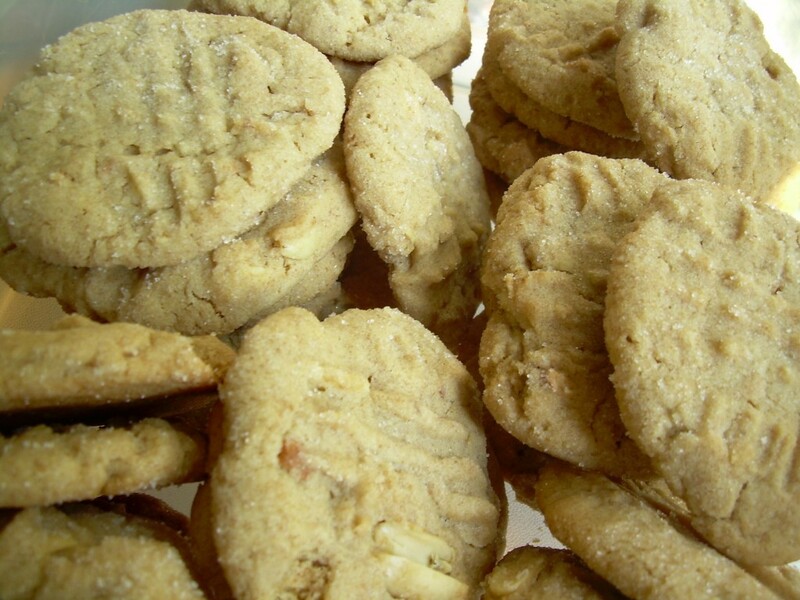 Quick and easy to make, the cookies came out thick and crispy, and chock full of peanuts. I like my peanut butter cookies a bit more on the chewy side, but these were definitely a hit with the peanut lovers who tried them. What’s been going on with me? Well, my neighbor accidentally cut my phone and internet line, and it took the phone company 18 days to repair it. The repair took about 30 minutes. I’ve been looking after my 80 year old auntie. Summer projects. Misplaced my camera and could not find it for about a week. And, best of all, I was at King Arthur Flour for a week, taking an advanced bread baking class. I’ll be posting more about it, but you can read my two previous posts here and here. Be sure to check the TWD blogroll to see what everyone else baked! 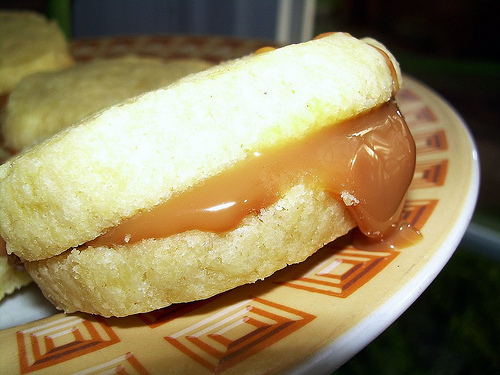 Coconut-less Tea Cake and Dulce de Leche Duos for Tuesdays with Dorie! I’ve been busy, as usual, and burned out. Last year took a lot out of me, running back and forth to Wisconsin to look after my aunt. And I haven’t been spending as much time in the kitchen as I’d like to – that’s my “therapy,” so it was good to bake a little this past weekend. 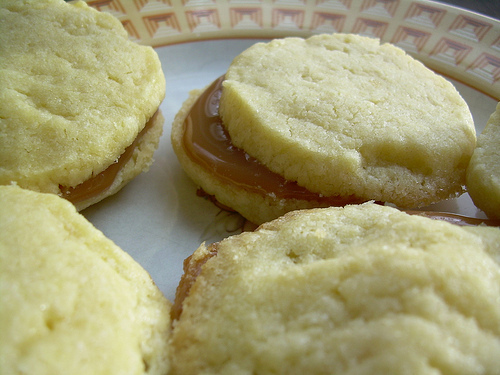 First, the dulce de leche duos, which I made but just got around to posting today. My bad. I made the dulce de leche (the boiling can method), sandwiched it between the cookies, and they were good, but not great, in my opinion. My one problem was that the dulce de leche was a bit runny, so the cookies would slide off, which led to a lot of finger-licking. As for the tea cake – I eliminated all the coconut, including the coconut milk, substituting some heavy cream, and adding the zest of an orange, a couple drops of orange oil, 2 tsp. of Cointreau, and a tsp. of vanilla extract. It turned out pretty good, but I would add the zest of an extra orange next time, or maybe a full 1/4 tsp. of the orange oil. I’ll be back in the swing of blogging again soon, I think, when I’m not so tired! There are so many things to make, and life is so short. Be sure to check out what everyone else made by visiting the TWD blog. And thanks to Carmen of Carmen Cooks for this week’s pick! 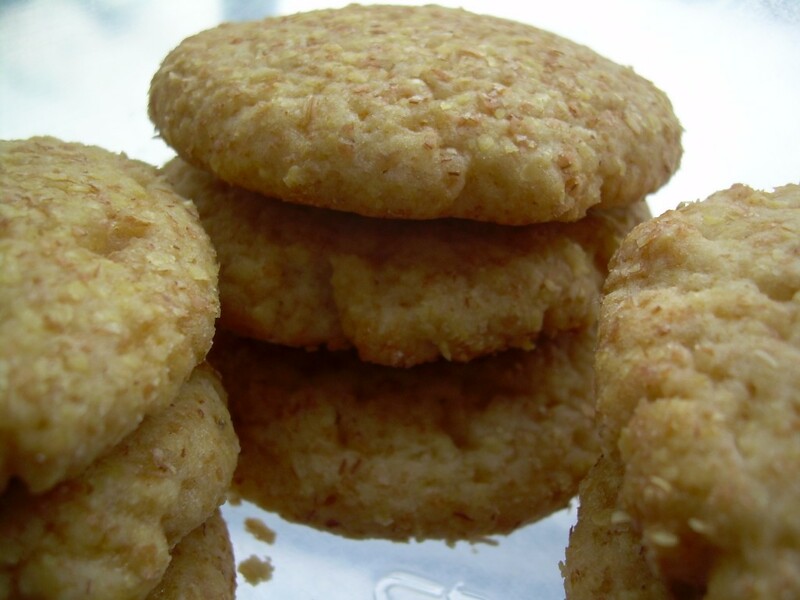 This week, Michelle of Flourchild decided on Honey-Wheat Cookies, page 81. Sorry for the short post, but I’m studying for our first test in the EMT class I’m taking. 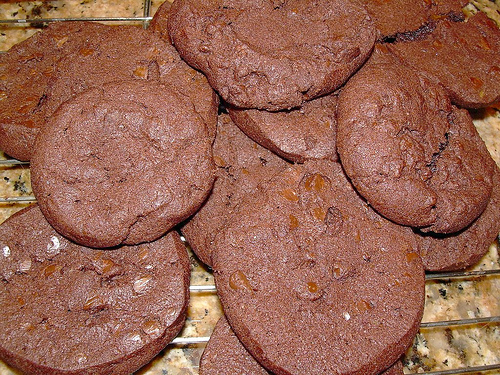 These little cookies were quick and easy to make, needing only a few hours rest in the refrigerator to firm up the dough. This is a honey-lemon-wheat germ cookie, and the feedback I got ranged from fantastic, to ok. Nobody disliked the cookies, but the people who loved them REALLY loved them. Definitely give these a try if you like lemon and honey. 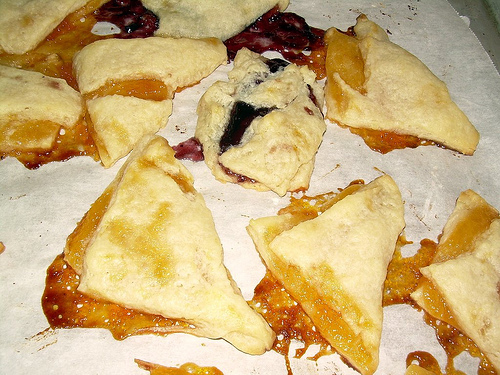 If I make them again, I’m going to cut back on the sugar because they were a tad too sweet for me. 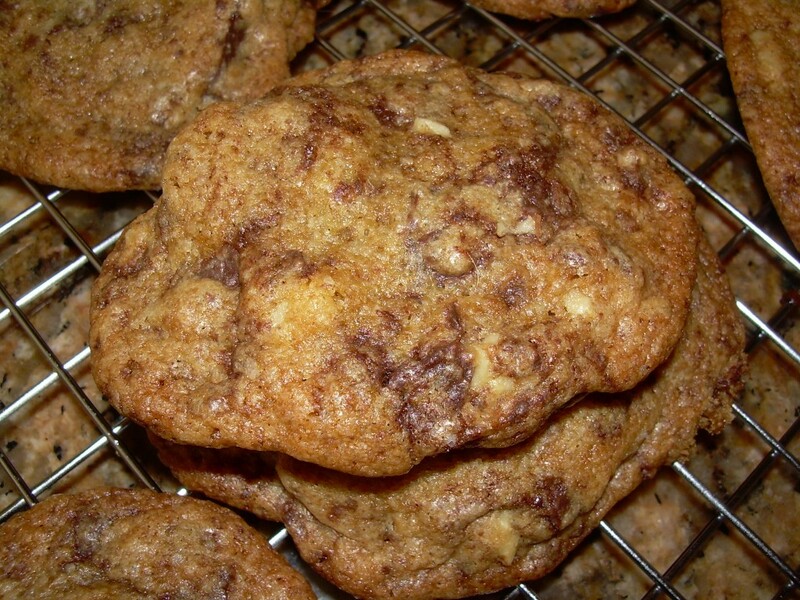 This week, Kait of Kait’s Plate selected My Best Chocolate Chip Cookies, page 68. I have to admit, straight out of the oven, I wasn’t thrilled about these. I had cut up a bunch of chocolate chunks to use, and added walnuts, and the chocolate flavor was overwhelming to me. But then, a new day dawned. And the overnight rest melded the flavors into an awesomeness that is hard to describe. My husband loved the bit fat chunks of Trader Joe’s 70% Belgian chocolate. I loved the buttery cookie studded with walnuts. I think I got 36 cookies out of the recipe, and if I’m honest, about 30 of those went down my gullet. Not my husband’s, MINE. Thank heavens I’ve been hitting the gym. That’s all I have to say. Oh, and be sure to check out the TWD blog to see how many cookies everybody else ate! It’s good to be back! A family member was ill and I have been traveling a lot over the past few months, and even when I was able to make something, I wasn’t able to take photos of it and/or post it. I’ll get some photos of the scherben, a fried cookie, up later. Only I cheated and baked them instead, thanks to a suggestion by Caitlin, the Engineer Baker. And the computer that I use to upload photos is in use, so that will have to wait. We have a complicated computer set up around here ever since one of them blew up a couple years ago. Basically, you make a dough, roll it out, cut it into strips, fry it, and sprinkle it with powdered sugar. I left out the frying part, and these little cookies taste like the ones I make with left over scraps of pie dough or puff pastry. They are best warm from the oven. Thanks to Teanna of Spork or Foon? for picking Mrs. Vogel’s Scherben, on pages 157-159. It was delicious, and ranks as one of my all-time Dorie favorites! I have spent a good portion of the past four months out of town looking after my auntie (who is doing a lot better and has agreed to move into a retirement community, and get hip replacement surgery – hooray! ), and playing catch-up when I’m back home. Imagine, if you will, going through three weeks of mail, including junk mail. Or having your dishwasher conk out on you, the same year you’ve had to replace your washing machine, oven, microwave, and refrigerator. And we went out of town for Thanksgiving to visit some friends. It turned out to be one of the best Thanksgivings I’ve ever had, but five days out of town didn’t help me catch up with all the work around here, much less bake anything. Oh, and did I mention we emptied out a storage unit, and my house is packed full, my in-laws arrive next week, and I have to head back up to Wisconsin to move my aunt into her new home? I am exhausted. All I crave is Honey Bunches of Oats and mac and cheese. The cheap kind. Those must be my equivalent of uppers or something. 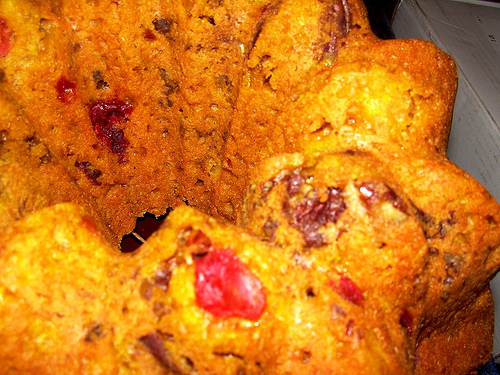 But I did have the opportunity to make Dorie’s buttery sables, as well as her Holiday Bundt cake from last month. My husband really liked the cake (even though I forgot the cinnamon), and we both loved the cookies. 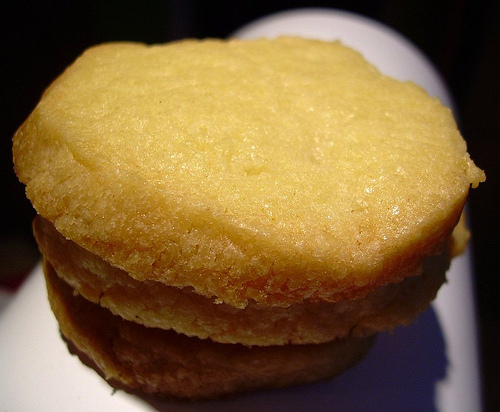 Thanks to Barbara of Bungalow Barbara for choosing the Sablés on pages 131-133. 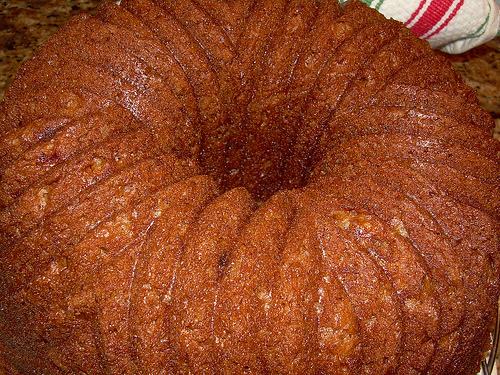 And to Britin of The Nitty Britty for the All-in-One Holiday Bundt Cake. 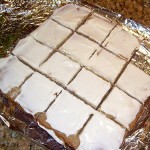 The only addition that I made to the basic sable recipe was to add a teaspoon of vanilla extract. This month we are allowed to post out of order, which is a real blessing for me because I’m still out of town, and I made these a couple weeks ago before I hit the road. So, if you check out the blogroll, you will find bakers making all sorts of things this month to fit in better with Thanksgiving plans. One TWDer, Pamela of Cookies with Boys, decided on Sugar-Topped Molasses Spice Cookies on pages 76 and 77. These are easy to throw together, but the dough does have to sit in the refrigerator for at least 30 minutes (longer is better), so plan accordingly. The results? A nice little spice cookie, that I thought was a bit too sweet and needed more spice. If I make them again, I’m going to increase the ginger and cut back on the sugar. I did add some bits of crystalized ginger to the dough, and I’m glad I did – the pieces that did not dissolve were a nice little surprise to bite into. Be sure to check out the blogroll, because everyone is doing something different every week this month. Cottage Cheese Pufflets for Tuesdays with Dorie. And Some World Peace Cookies, Too! This week for TWD Jacque of Daisy Lane Cakes decided on Cottage Cheese Pufflets, on pages 148 and 149 of Baking: From My Home to Yours. FYI, for those of you who hate cottage cheese, you cannot taste it at all, so don’t let that hold you back. First, this dough is really tough to work with, no matter how many tricks you try. I rolled the dough in a ziplock plastic bag, but it was so sticky that I had to freeze it solid just to be able to cut it out of the bag. And it turns out that I didn’t let the dough thaw enough, so when I tried to make the little triangles, the dough cracked. As you can see from the photo below, these did not come out looking too nice. But despite all that, these little morsels are tasty and addictive! I would make them again, but I think that next time I’m going to treat the dough like rugelach, and save myself a lot of aggravation. Great pick, Jacque, my husband and I loved these. Tips: chill or freeze the dough a lot during the whole process. And use a top quality jam because you will definitely taste it. 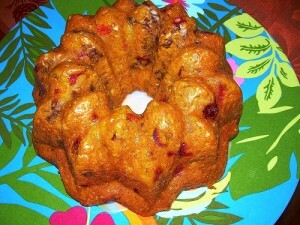 I used We Love Jam’s Apricot, and Stonewall Kitchen’s Wild Maine Blueberry. Yum. 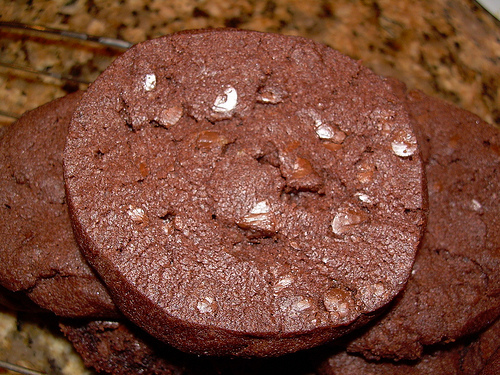 And because I never made the World Peace/Korova cookies, I decided to remedy that oversight this week. I used Pernigotti chocolate and mini chocolate chips. I really liked these cookies, especially the fleur-de-sel, but I thought the cottage cheese pufflets were a lot better, and that’s saying something! For the Recipes to Rival recipe, please check the previous post. If you’re here for some chocolate brownies and espresso cheesecake, kick back and set a spell. This week, Melissa of Life in a Peanut Shell chose Espresso Cheesecake Brownies, pages 104 and 105 of Baking: From My Home to Yours. 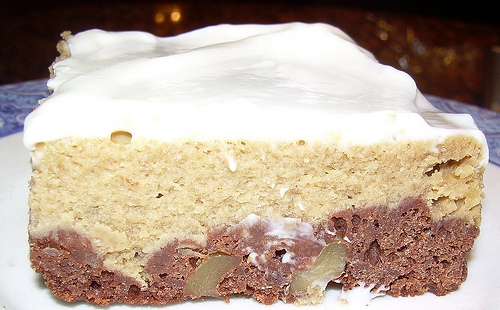 A dense brownie layer, covered with espresso cheesecake and the whole thing topped with a sour cream frosting. This sounded amazing, but it definitely ended up with mixed reviews. I tweaked the recipe in two ways; one was successful and the other was not. 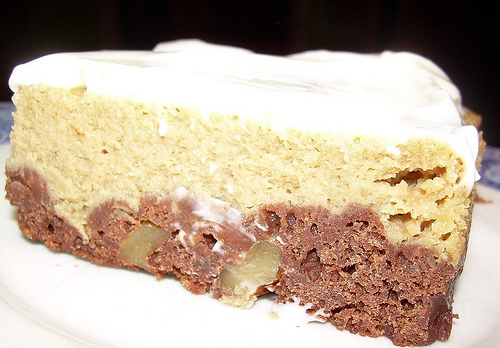 First, I added walnuts to the brownie layer, a must at my house. I know there are nut haters out there, but they do not reside at Chez Chow. That adaptation was a success. Next, I used semisweet chocolate instead of bittersweet for the brownies, and that did NOT work – just too sweet with the cheesecake layer, even though I cut back on the sugar to account for the adaptation. And I didn’t much care for the sour cream topping. All that being said, I think I would make this recipe again for company, with bittersweet chocolate, as written, but still keep the walnuts. It would make for a very elegant little dessert with some espresso coffee. And if you’re wondering what the Classic Banana Bundt Cake, chosen by the Food Librarian (you can find the original recipe there) a few weeks ago, is doing here, I finally had a chance to make it between all my flying about. I mean, considering the rave reviews it received, how could I NOT make it? 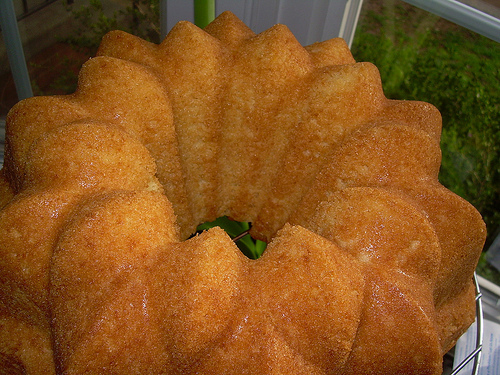 Plus the fact that I am a bundt cake/pan fanatic who looks for every opportunity to make one. Following Caitlin’s lead, I substituted rice bran oil for the TWO STICKS OF BUTTER in the original recipe. And I nixed the icing because I thought it wouldn’t be needed. The result? . . . .
DING! DING! DING! We have another Dorie winner! My husband LOVED this cake. In his words, “this is what banana bread is supposed to taste like, but never does.” Really, what better compliment is there? My adaptations to the Classic Banana Bundt Cake recipe after the jump. 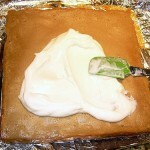 And be sure to check out the TWD blogroll to see what results other bakers achieved with the brownies. continue reading "TWD -Brownies and Banana Cakes; R2R and Risotto"